Alpinestars Supertech-R Samurai Dani Pedrosa Limited Edition Boots. Made of high-tech microfiber the Supertech-R have been designed for the demanding competition world. 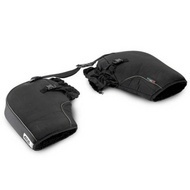 Each element has been carefully designed to afford innovations in protection improved ergonomics and maximum comfort. The new Supertech-R have the sole and external shin guard in redesigned TPU and an innovative front flex area.